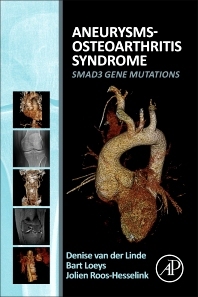 Aneurysms-Osteoarthritis Syndrome: SMAD3 Gene Mutations is a first-of-its-kind compilation of the genetic discovery, research, and care associated with AOS. With the field of genetically triggered aortopathies growing, this important reference will compile the newest discoveries in this field, allowing cardiologists, cardio-thoracic surgeons, clinical geneticists, vascular surgeons, orthopedic surgeons, and researchers to gain the knowledge they need without having to gather the data from various sources. Coverage includes genotype and phenotype correlations, the functional role of SMAD3, and insights into the role of TGFbeta signaling in aortic disease. The book will increase knowledge about AOS, providing awareness and better patient care for this aggressive disease. Dr. Van Der Linde is an experienced researcher with in the field of congenital hearts defect and genetic aortic disease in adults. She has published over 20 articles in international journals and published her work in several international conferences around the world. During her PhD she was involved in the first description of (cardio)vascular consequences of the new Aneurysms-Osteoarthritis Syndrome. After her PhD, she did a post doc research period about genetic aortic disease in Sydney, Australia. She is currently back in Rotterdam, The Netherlands, working as a cardiologist in training. Prof. Jolien Roos-Hesselink has worked as a cardiologist since 1992 at the Erasmus MC, Department Congenital Cardiology. Her clinical work and research interests lie in the area of adults with congenital heart defects, with special attention to the aortic valve defects and aortic pathology and pregnancy in people with heart disease. She was appointed in 2009 as Professor and Head of the Department of Congenital Cardiology at Erasmus MC. She is a board member of the European Working Group for congenital heart defects of the European Society of Cardiology (ESC) and founder and chairman of a major global registry on pregnancy in people with heart disease. Professor Loeys is known for his innovative and high-quality scientific research into genetic disorders of the connective tissue and the cardiovascular system, which has made him the world leader in this field. Aneurysms-Osteoarthritis Syndrome is also known as Loeys–Dietz syndrome. It was identified and characterized by Harry C. Dietz and Dr. Loeys, for whom it is named. 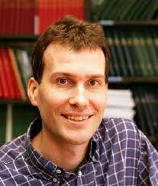 Professor Loeys is an active reviewer on 11 international journals, has made 68 book contributions and has 118 Abstracts, posters, platform presentations and invited lectures.